MOSCOW, February 11. /TASS/. 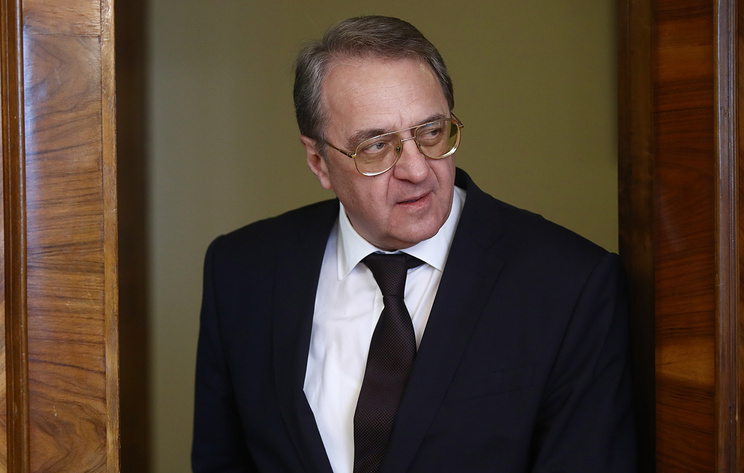 Russian presidential envoy for the Middle East and Africa, Deputy Foreign Minister Mikhail Bogdanov has met with representative of Syria's "National Front for Change and Liberation," head of the Syrian opposition's "Moscow platform" Qadri Jamil to discuss the formation of Syria's constitutional committee, the Russian Foreign Ministry said on Monday. 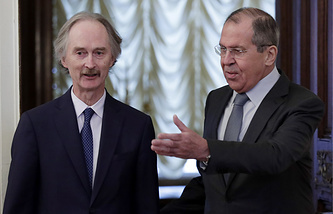 "Over the course of the conversation, the sides exchanged opinions on issues of promoting political settlement in Syria. Special attention was paid to the task of soonest completion of the process of forming a constitutional committee and launching its work in Geneva in accordance with the agreements reached by the Syrian National Dialogue Congress in Sochi and conditions of UN Security Council Resolution 2254," the foreign ministry said. The decision to establish a constitutional committee was made at the Syrian National Dialogue Congress in Sochi on 30 January 2018. The committee will include delegates from the Syrian government, opposition and civil society. Staffan de Mistura, who served as UN Special Envoy for Syria at the time, said that the number of committee members should not exceed 50.